Aravind Adiga’s The White Tiger. 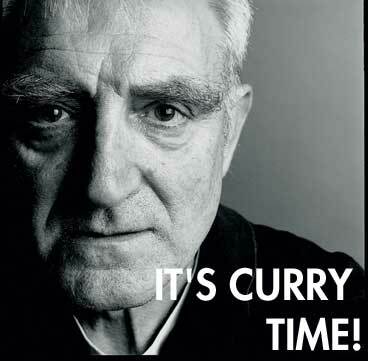 Demand Curry Accountability from John Sutherland! Despite John Sutherland’s previous pledge that he would curry and eat his proof copy of Salman Rushdie’s The Enchantress of Florence if the book did not win the Booker Prize, Mr. Sutherland revealed to the Guardian this morning that he would not fulfill his promise! He does say that he “might manage a custard pie on October 10.” But a custard pie isn’t good enough, Mr. Sutherland! A custard pie is not a curried proof copy! Not by a long shot! This is curry hypocrisy of the first order! The time has come to publicly scold Mr. Sutherland for failing to live up to the terms of the stunt. 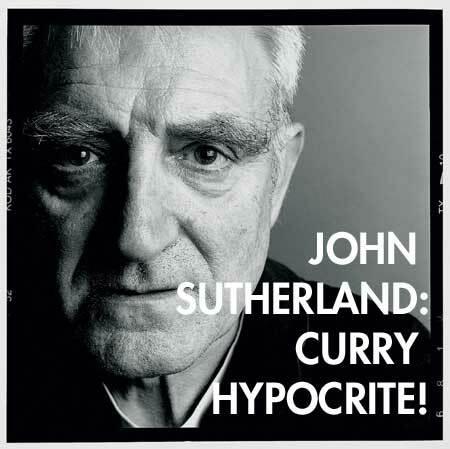 I therefore announce the John Sutherland Curry Hypocrite Photoshop Contest. Send in your graphical response to Sutherland’s curry flip-flopping, along with your URL and mailing address. I will post the entries over the next several weeks, as they come in. The winner of the contest will receive a copy of Salman Rushdie’s The Enchantress of Florence. The email address is ed@edrants.com. Booker Shortlist Announced, John Sutherland Dinner Date In Works? This year’s Man Booker Prize shortlist has been announced, and Rushdie is not on it. What this means is that John Sutherland, who promised that he would curry and eat his proof copy of The Enchantress of Florence if Rushdie’s book did not win the Booker, is now under a certain gustatory obligation reminiscent of a certain German filmmaker. If Sutherland does not eat his proof copy, then one can never take the man’s word seriously again. Never! Fair is fair, Sutherland. You promised to eat your proof copy. The time has come to live up to your pledge. The Booker longlist has been announced. There are many predictable names, but a few surprises, including Steve Toltz and Tom Rob Smith.